Home Arts SaskExpress bringing auditions back to P.A. SaskExpress bringing auditions back to P.A. The 2018 cast of SaskExpress performs. Auditions for the 2019 summer season are coming to Prince Albert on February 17, 2019. Photo courtesy SaskExpress. A year after hosting auditions in Prince Albert for the first time, SaskExpress is returning to the city as it looks to name its cast for its 2019 touring season. Auditions will be held in Prince Albert at the Arts Centre on Sunday, February 17 from 1-4:30 p.m. auditions will also be held on Feb 9 and 10 in Regina, on Feb. 6 in Saskatoon and on Feb. 23 in Yorkton. Audition videos can also be submitted online. The performing arts group is looking for singers and dancers to join the 2019 summer cast. 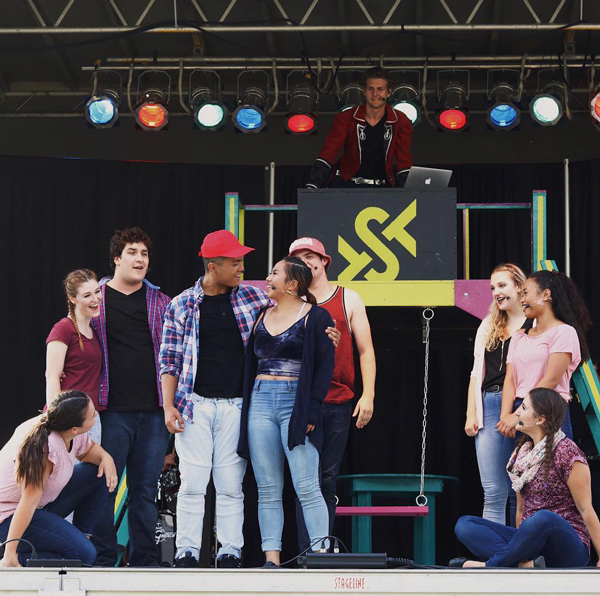 The summer tour gives Saskatchewan performers the chance to learn a full, 90-minute original show under CEO and artistic director Danny Balkwill and tour it around the province. Last year, two performers came from Prince Albert. “I was really happy with the quality, and the people, and the attitudes and work ethic from up in Prince Albert,” Balkwill said. “We’re very excited to be coming back. “For nearly 40 years, SaskExpress has provided training and opportunities to performers from all parts of the province, from the smallest communities to major centres,” the organization said in a press release. Performers must be at least 15 years old and be free to travel throughout the summer. Successful performers are offered a scholarship and a contract that runs from March to early September. “There are a bunch of things that I look for,” Balkwill said. Balkwill explained that they don’t expect people auditioning to be the most polished performers right away, but rather someone SaskExpress can work with. ‘We teach them, educate them and help them along,” Balkwill said. One of the biggest things people do in the audition room that hinders their performance is they get too scared to try anything or put themselves out there, Balkwill said. As for singers, you don’t have to have the biggest vocal range or be able to, as Balkwill said, “belt your face off.” It’s about being able to use the range you have well. ‘The thing I’m most impressed with when it comes to a voice is control,” he said. Balkwill said he’s looking for talented people rather than certain types of people. The show is flexible, and he can work with performers if they have a talent he may not have originally thought of. “What I do is I try to highlight their strengths,” he said. As for what the 2019 performance will look like, it will feature live musicians, a cast of dancers and singers and a story tying everything together, but other than that, it will be completely different. For more information about SaskEpress or about auditions, visit SaskExpress.com. Forms must be submitted by email before Wednesday, Feb. 6 to schedule an audition time.